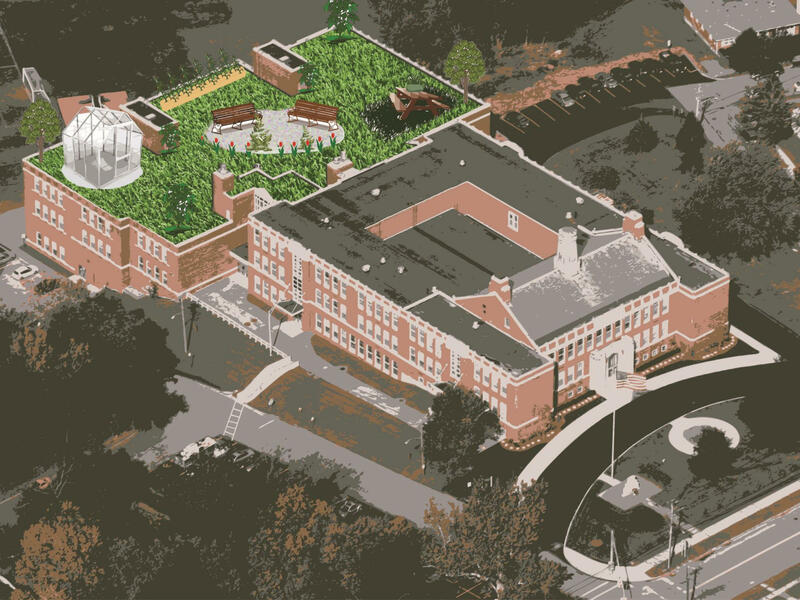 In May of 2014, Doane Stuart began construction on a 22,000 square-foot vegetative roof. 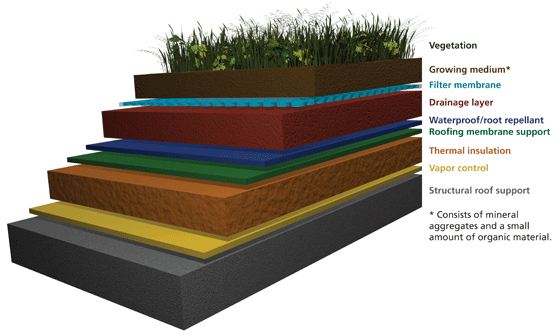 Funded by a $1.4 million grant from the New York State Environmental Facilities Corporation, the roof reduces stormwater runoff, improves insulation and decreases energy use and expenses. As such, the green roof is yet another example of Doane Stuart’s commitment to sustainable practices. Students in our Upper School Green Roof Class participated in discussions of the landscape design, which includes a patio, central garden, outdoor science lab and accessible green space. Students also studied weather patterns, seed dispersal and biodiversity to determine the types of plants and animals that could thrive on the roof. 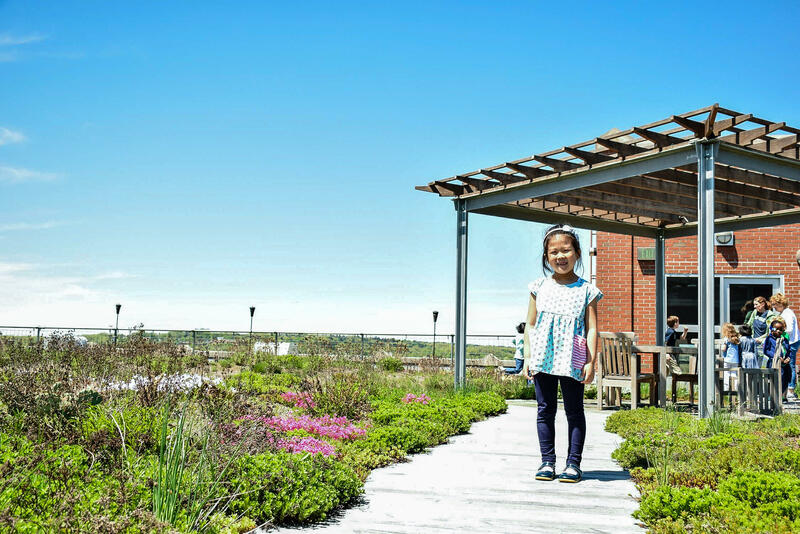 Hardy, drought-tolerant plants are best suited for Green Roof Environments because they are more equipped to handle the weather conditions that exist on a roof. These plants are typically native to seashore, alpine, and desert regions and are therefore able to survive in environments often exposed to vast amounts of sun, wind and rain. The vegetation on Doane Stuart’s Green Roof includes 5 categories of plants, containing over 70 species and 60,000 individual plants. Due to the artificial topography on our roof, micro-climates are also present, allowing for greater numbers of natural habitats for both flora and fauna. These artificial terrain elements are unique to Doane Stuart’s roof and enhance the aesthetic of the space. Reduction in roof replacement wast thanks to extended roof lie of 50+ years. Want to Rent our Green Roof? The Green Roof will be made available for small gatherings for up to 50 people . Please fill out the form below or contact Darlene Gallagher at: (518) 465-5222 ext. 203.